Posted July 13, 2009 by Norburn Lighting and Bath Centre & filed under Energy Saving, Trends, Uncategorized . home control network using ASPIRE RF is easily within your reach. Installing an ASPIRE RF wireless system requires no special wiring or rewiring -ideal for new home construction and retrofitting of existing homes. Add any electrical device to the network, either by plugging it into a networked ASPIRE RF receptacle, or by purchasing a Z-Wave capable product with built-in networking capability. Each device in your network can be assigned an automatic name or personalized at installation, allowing easy reference for one-touch control or inclusion in a lighting scene or timed “event”. Control over 200 devices with a single controller, either around your primary residence, or at a remote location using a home computer, PDA or mobile phone. ASPIRE RF is one of the most reliable RF wireless networks because each device acts as a repeater to ensure that the command signal is carried out through a unique “mesh network”. If the signal from the controller cannot reach a device directly, it is automatically rerouted through the network of Z-Wave devices in the home to reach the correct device. The ASPIRE RF network operates at 908 MHz and does not interfere with other household appliances, electronics, telephones or other RF signals. 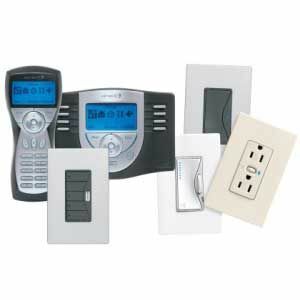 Each home network has a unique Home ID eliminating any possibility of your controller affecting your neighbor’s lights or home devices.